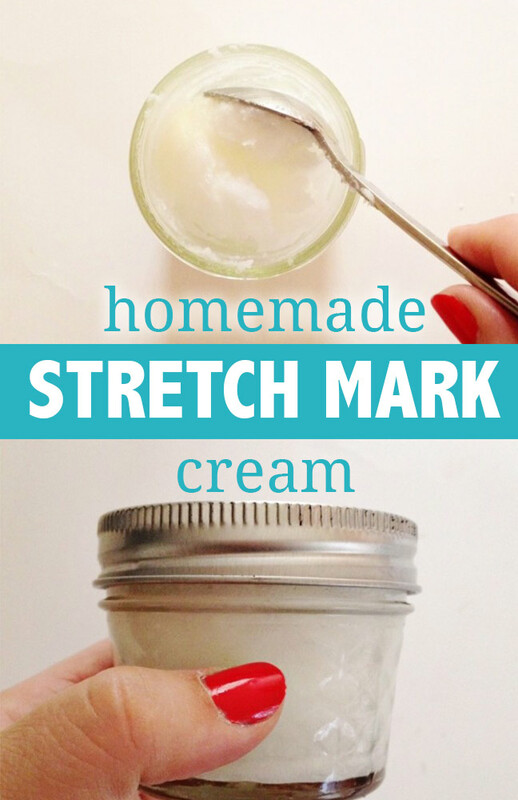 Stretch mark creams from the store are expensive, but here’s the thing: It’s so easy to make your own stretch mark cream at home. 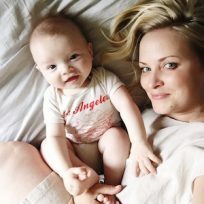 In fact, I came up with a recipe for stretch mark cream that I absolutely loved when I was pregnant with my second son. 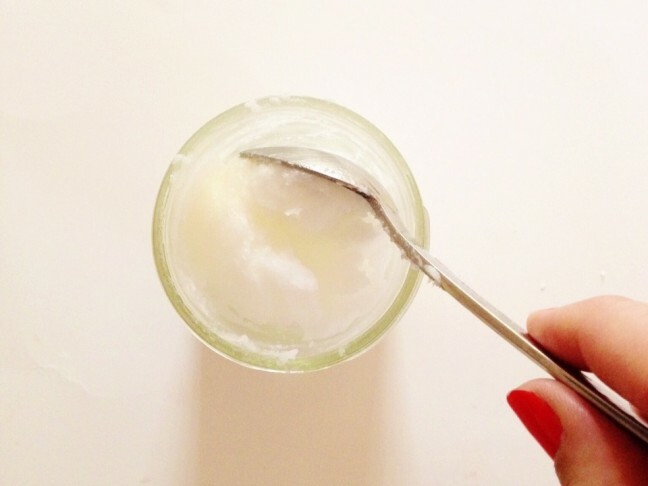 Here’s how you can make some stretch mark cream of your own — just be sure to double check with your doctor first. Shea butter – This is a skin “superfood” that deep moisturizes, heals, and helps with skin regeneration. Cocoa butter – It’s a high quality emolient, very moisturizing for skin. Coconut oil – I love coconut oil for stretch marks; it supports tissue healing and repairs and softens skin. Vitamin E oil – This quality ingredient promotes healing. Lavender essential oil – It’s believed to have anti-inflammatory properties (plus it is relaxing and smells good). Step 1: Mix together 2 tablespoons each of shea butter, cocoa butter, and coconut oil. Step 2: Add 10 drops of vitamin E oil. 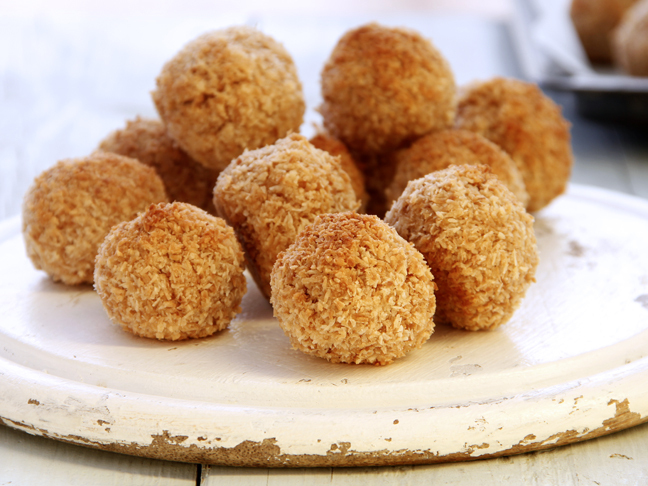 Step 3: Place mixture in a thick bottomed pan and stir over low heat until melted. Step 4: When the mixture is melted, whip with a whisk and then remove from heat. Step 5: Add 5 drops of lavender essential oil and whip until well mixed. 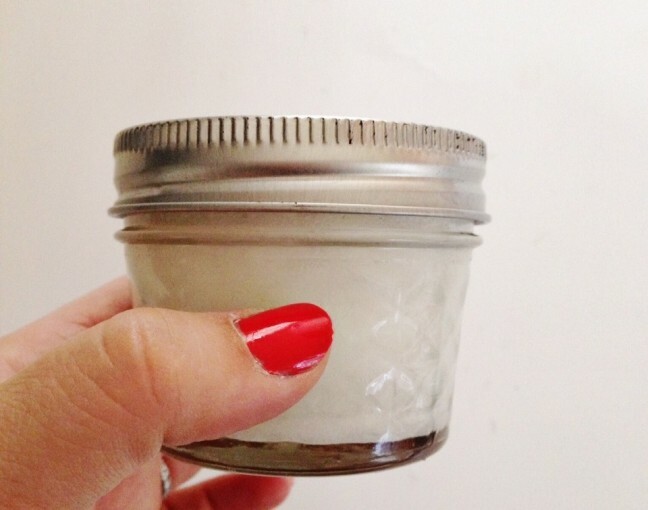 Step 6: Store stretch mark cream in an airtight container like a small jelly jar or mason jar. While this makes a good amount of a salve or cream (it’s sort of a mix between the two), you could double the above recipe to have even more on hand.